Virtual Serial Port Kit - Create virtual serial ports connected via a virtual null-modem cable. Create virtual serial ports and connect them via virtual null-modem cables. Virtual Serial Port Kit creates a pair of virtual serial ports connected with virtual null-modem cable. The software provides null-modem connection between two serial communications applications. Communications software interacts with each other via virtual COM-ports in the same way as via hardware COM-ports connected with real null-modem cables. All the data written to one virtual COM port can be immediately read from another one and vice versa. Once created, virtual serial ports appear in the list of COM port devices on your computer and function as hardware serial ports. As soon as any serial application opens the first virtual COM port and the other application opens the second virtual COM port, the connection between two serial applications is established. Now serial data can be transmitted over virtual COM port connection. 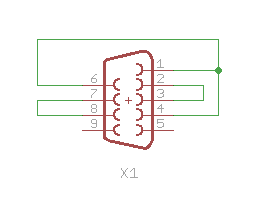 There are several common pinout schemes of null-modem cables used for the communication process. Virtual Serial Port Kit supports different null-modem pinouts with different handshakes allowing also to customize them. 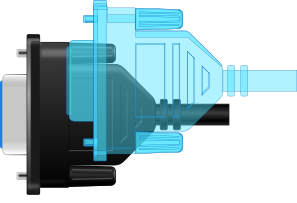 A loopback plug is a device used to test serial communications applications. 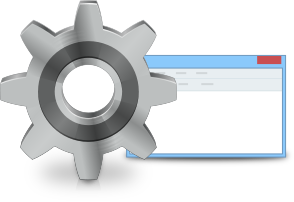 As data is looped, the application recognizes output data as input data. Using Virtual Serial Port Kit it is possible to emulate loopback plug just in few clicks. There are serial application A and serial application B on the computer. You need to establish bidirectional connection and data transmission between these serial applications. Virtual Serial Port Kit creates virtual serial ports COM2 and COM3. The virtual COM-ports are connected with a null-modem cable and appear in the system as usual hardware COM ports. The application A occupies COM2 and application B occupies COM3. As soon as the applications open COM2 and COM3, two-way data exchange will be established. Virtual Serial Port Kit is now fully integrated in our software stack and we are very happy to have found FabulaTech and their excellent software. Virtual communication is more fast and reliable than via a real null-modem cable. Virtual Serial Port Kit. Create virtual serial ports and connect them via virtual null-modem cables.